This album of cool, acoustic arrangements will successfully soothe little ones to sleep while adult listeners relax to the satisfying, fresh take on ‘kids’ music. SHINE wins Parents Choice Award! ‘SHINE’ NAMED NATIONAL PARENTING PUBLICATIONS AWARD WINNER! 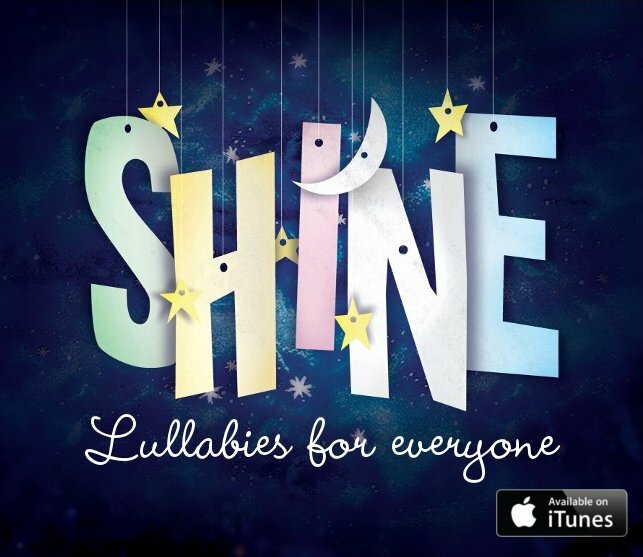 “We’re excited that ‘Shine: Lullabies for Everyone’ is joining this year’s list of award-winning products,” says Julie Kertes, NAPPA General Manager. From Disney to the Beatles, Standards to Billy Joel, this album of cool, acoustic arrangements will successfully soothe little ones to sleep while adult listeners relax to the satisfying, fresh take on ‘kids’ music. ‘SHINE’ WINS 2015 FAMILY CHOICE AWARD! !